From the end of August a limited run of the Ford Fiesta Centura will be on sale, priced from £13,395. 1,000 examples of the Centura edition will be made, all of which will come with £600 worth of extra equipment. The Centura, built the celebrate Ford of Britain’s centenary, will only be available in black, much like the Model T; Ford’s first UK built model. It will come with 1.25-litre 82PS petrol engine. Standard equipment includes LED daytime running lights, 16-inch alloy wheels, automatic headlights and windscreen wipers, reversing sensors and a reversing camera. 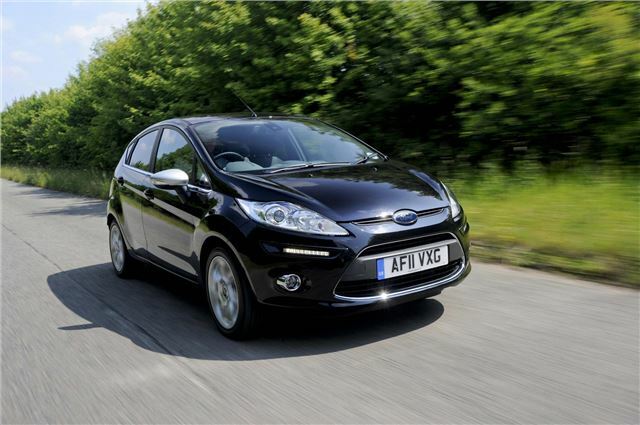 Those extras make for a saving of £600 over the Zetec spec model on which the Fiesta is based. Anthony Ireson, marketing director, Ford of Britain, said: "Fiesta has been a UK favourite its entire lifetime and it was a natural choice to use this great icon to help mark our centenary. With a unique specification and affordable price, the Centura will appeal to thousands of customers, and we anticipate strong demand – who knows it might even become a collector's car one day!"